From this week brokerage company Tavros Yachts will be renamed Bart de Ven International Yacht Brokerage. Bart de Ven says he has been anticipating this trend for the past few years and now wants to underline the personal approach to yacht brokerage by this name change. 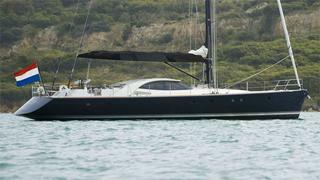 Bart also asks for a mention of his central listing for sale, the 21.3m sailing yacht Pure. Pure was built by the Dutch yard Royal van Dam Nordia and launched in 2011. This beautiful modern yacht combines luxury with high-tech performance. She has a spacious deckhouse and a simply stunning modern wooden interior built by the finest craftsmen. She can accommodate up to eight to nine guests in four cabins cabins.